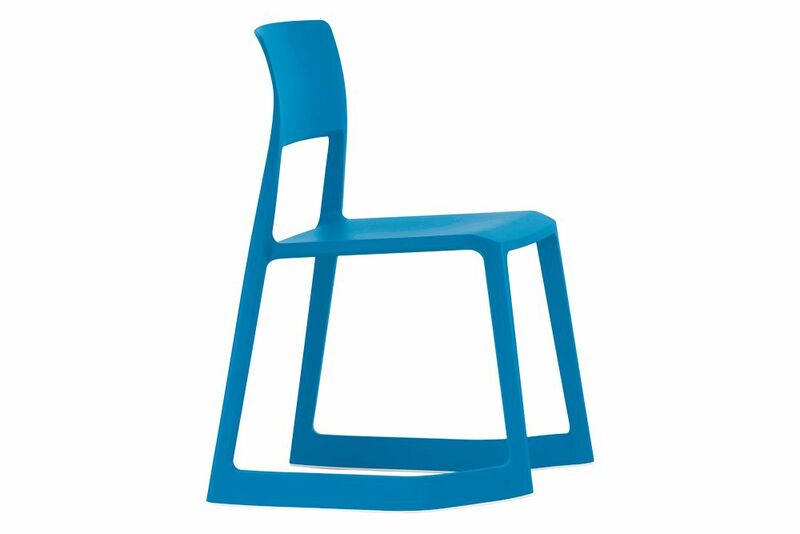 Tip Ton defines the whole new chair typology of the solid plastic chair with forward-tilt action. Its name refers to the dual sitting positions provided by the chair – from a normal position, Tip Ton can be tilted forward a few degrees where the chair then stays in place. The forward-tilt position, until now the preserve of mechanical office chairs, straightens the pelvis and spine and thus improves circulation to the abdominal and back muscles.